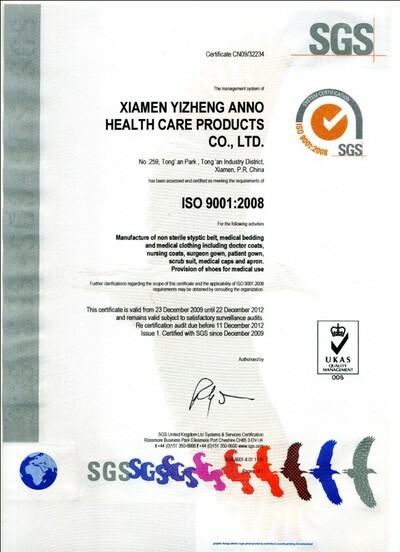 Company Overview - Xiamen Yizheng Anno Health Care Products Co., Ltd.
8YRSXiamen Yizheng Anno Health Care Products Co., Ltd.
Xiamen YiZheng ANNO Health Care Products Co., Ltd was established in 2006 located in Xiamen, China. 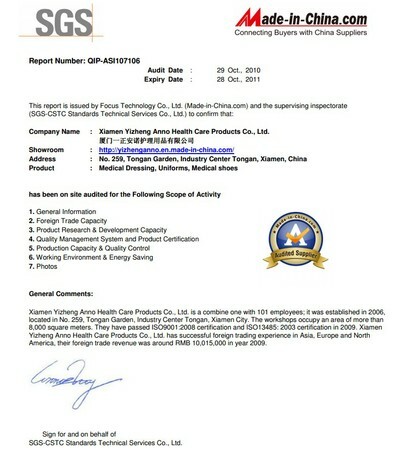 ANNO is the manufacturer of the medical garments and work shoes. Our factory is covering an area of 8,087 square meters, with 3 lines for garment production, over 25,000 sets production capacity per month that allow us to meet large volume requirements. 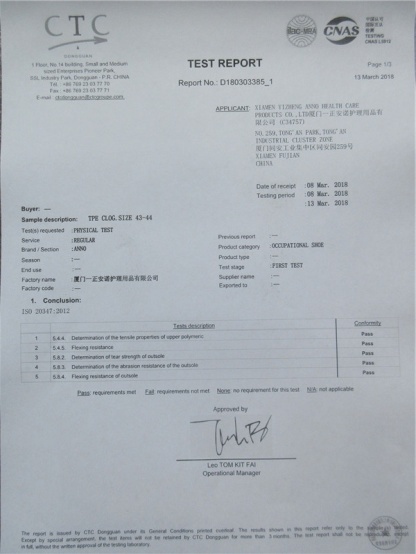 We can design and make OEM products according to customer's demand.Quality is our culture. 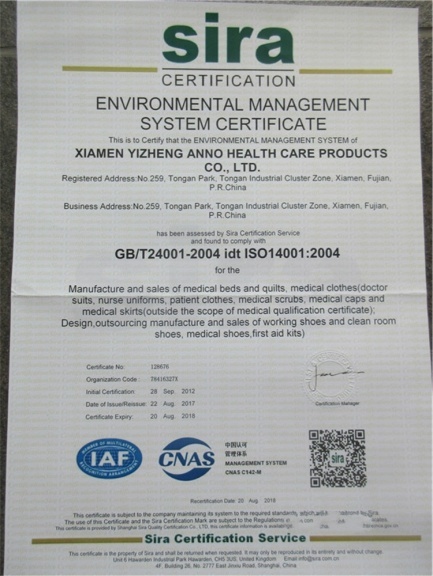 We are not only specialized in producing medical scrubs, Lab coat, Gowns, but also specialized in Medical clogs, Nursing shoes. 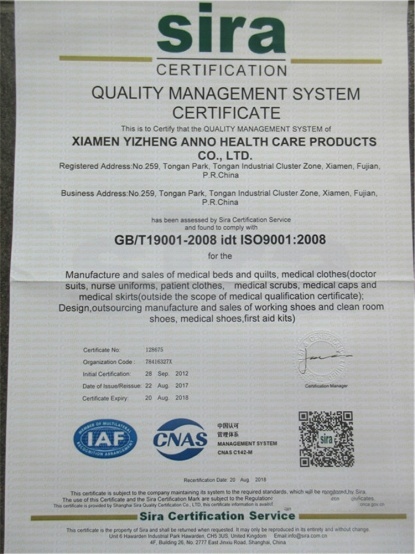 Medical garment could be with special functions according to clients requirements, Such waterproof, oil resistance, antistatic and Chlorine bleaching endurance. Different printing designs, colors and fabrics will meet different customers preference. 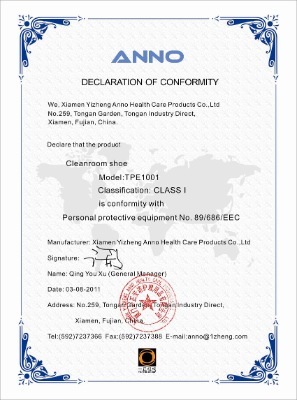 Anno scrubs runways into hospitals, medical clinics and doctor's offices across the China and the world.Medical clogs including autoclavable clogs, washable clogs, anti-static clogs. Anatomic and orthopedic design means shoes that enable who walk around during long shifts, to be more productive because they become far less tired. Usually for professional working indoors such as hospitals, kitchens, food manufacture, dentistry and veterinary.We ANNO are committed to providing exceptionally comfortable, supportive and stylish medical garments and clogs at affordable prices and timely sale service. We are looking forward to establish mutual benefit business relationship with every client. Welcome your inquiry at any time.